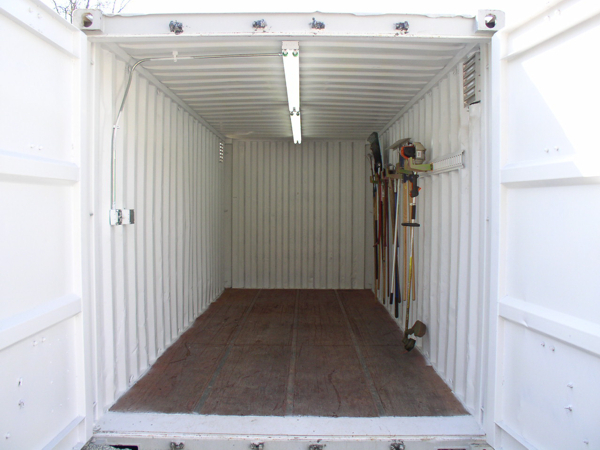 This 20' shipping container was customized to make it a portable storage space. 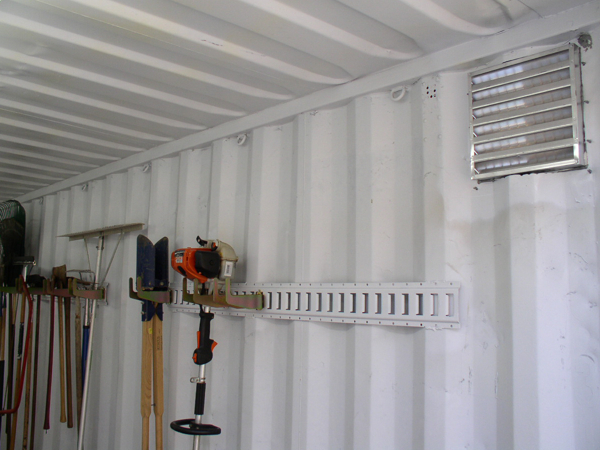 The container was outfitted with two 8' fluorescent light fixtures, a 120v duplex receptacle, E-track racks, and two aluminum vents. 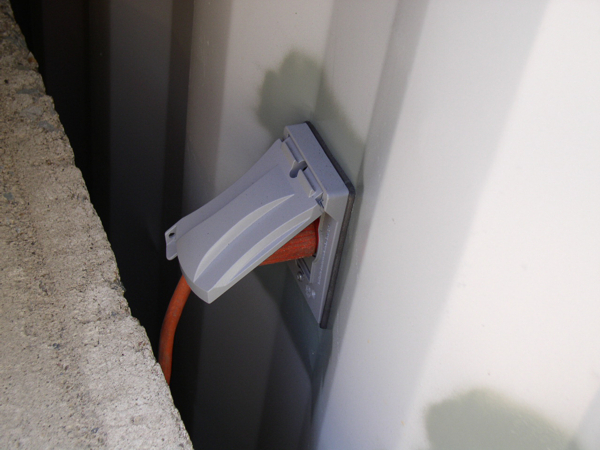 A weather rated electrical plug makes it convenient to unplug and move the container when needed. 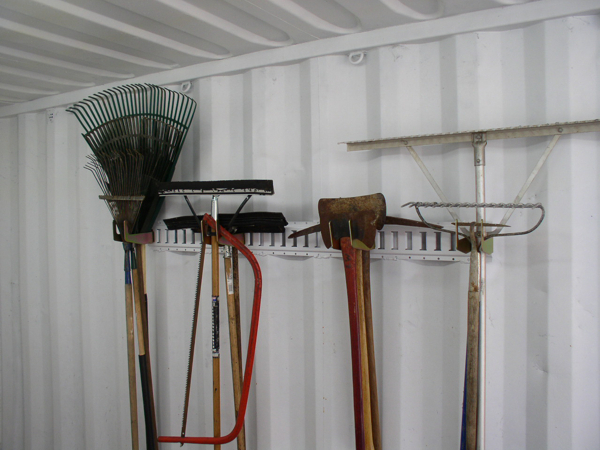 LET US CUSTOMIZE YOUR CONTAINER! 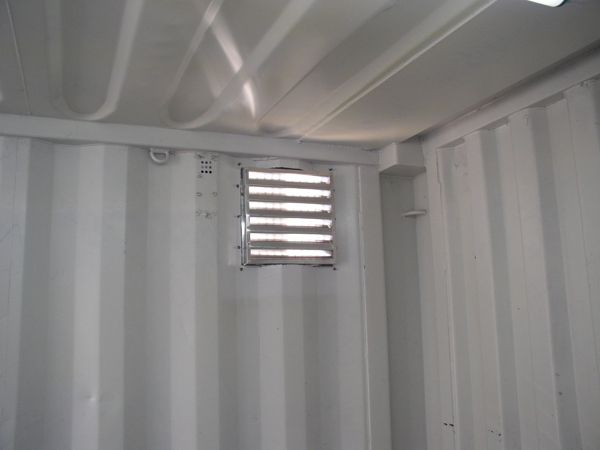 Completed container customized with lights, outlet, E-track racks, and large vents. 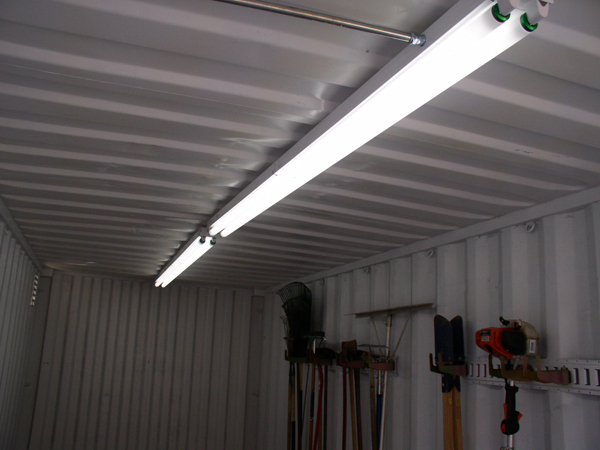 8' cold weather fluorescent light fixtures. 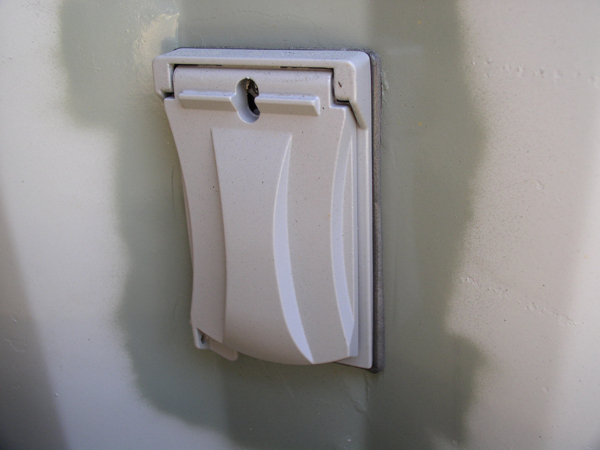 Light switch and 15amp recepticle. 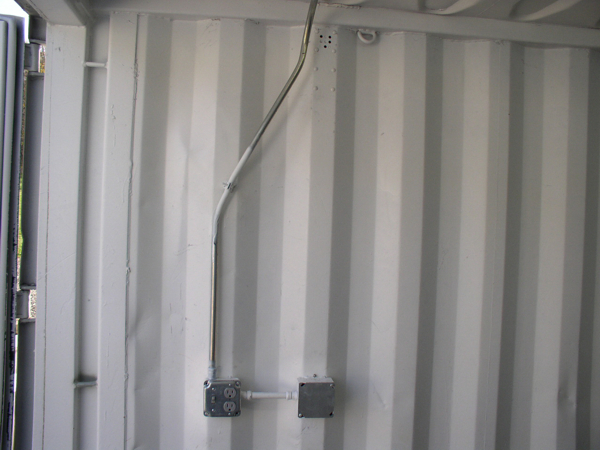 All wiring is installed in conduit. 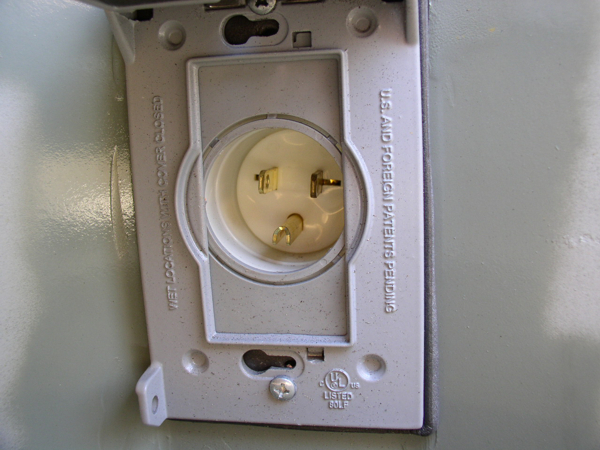 Just plug the container in and it's ready for use. 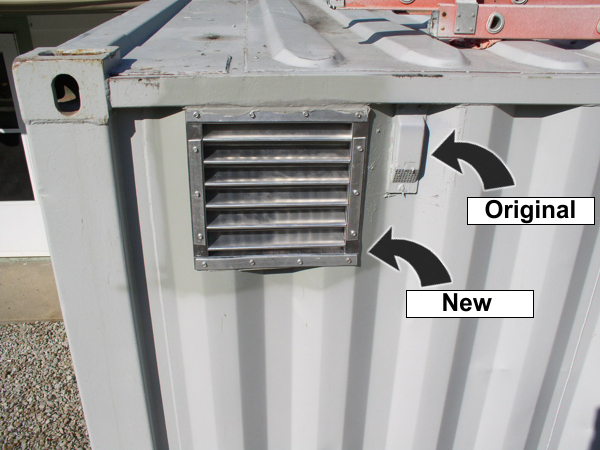 Our large vents allow for improved air movement compared to original vents. E-track with shovel brackets installed.